Deutsche Gesellschaft für Internationale Zusammenarbeit(GIZ) GmbH, is funded through the German Federal Ministry for Economic Cooperation and Development (BMZ), launched an ambitious program to support the Afghan Deputy Ministry of Technical and Vocational Education and Training (DM TVET) in 5 provinces of Afghanistan to increase access to vocational training for as many Afghans as possible. 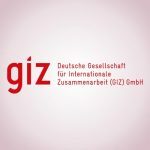 GIZ contracted ACE to provide consulting, coaching, monitoring of OS pilot schools in Khost & Kandahar Provinces. Monitoring and coaching of the teachers on behalf of the program and GIZ.